Care to submit info or comment? a 1921 Walden history booklet. 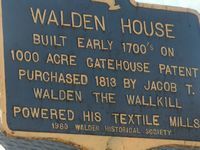 The Walden House Tattler Newsletter is issued free to members in Spring & Fall. The 2019 Spring Tattler will be issued in April. Joining the Society is easy and open to anyone interested in preserving local history. Membership is inexpensive and also makes a great gift, especially for friends or family no longer in the area. Use the membership link to apply. See a sample of the Tattler on our Membership link. The Tattler Newsletter editor is Trustee, Patricia Eisley. We encourage members to invite friends to join too. Donations are always welcome and are tax deductible. Thank you! A reminder that we are NOT publicly funded. 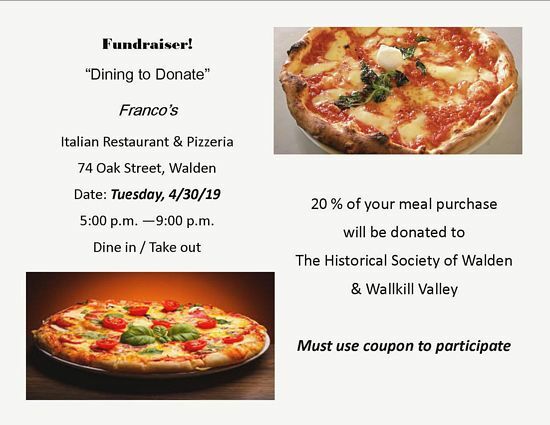 All of our abilities to preserve local history come from donations from the community and Members like you! 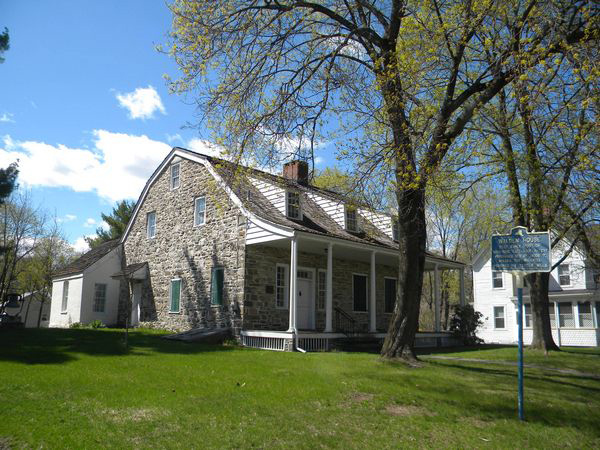 local history and is chartered by the State of New York. Come Home to the Walden House! or PDF to download and print at this link. April, May, June, September, October and November. For sale: 16"x 12-1/2" color prints of an original oil painting by local artist, Ethel Eckler Simmons. 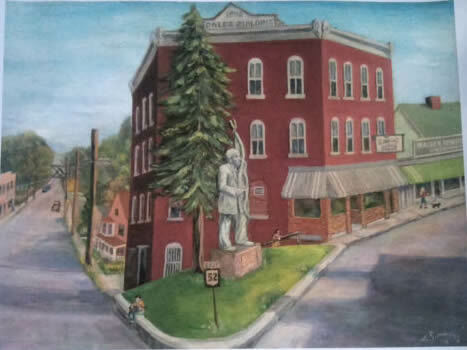 It shows wonderful detail of the Fowler Building in Walden, and you can even glimpse "Old Scalper" in the distance on Route 52. Prints are for sale through the Society, unframed at $20. Limited quantities. See other items for sale through the Historical Society. Be sure to check the Calendar often for other new programs. Event dates and meetings are posted as soon as scheduled. We look forward to seeing you!